For homeowners and businesses, getting things back to normal after water damage can be difficult. Having water damaged carpets and rugs does not mean having to toss them out and waste money on replacements. Save the expense and hire High Quality Carpet Cleaning instead. Their highly knowledgeable and trained experts know how to restore flood-damaged carpets, rugs and upholstery with a clean that revitalizes, sanitizes and protects. After water damage, carpets and rugs deteriorate quickly, not to mention becoming homes to bacteria, mold and mildew. This is why it is so important to contact the professionals at High Quality Carpet Cleaning. The proliferation of bacteria and the presence of noxious odors are not healthy for any residential or business environment. Water leaves stains and quickly breaks down delicate fibers. Contact the experts and have them remove collected water quickly to prevent the worst from happening. They can remove stains, pathogens and odors quickly and easily with industrial-grade equipment and techniques that restore carpets and rugs to their original condition. Make water damage a thing of the past and contact High Quality Carpet Cleaning right away! No matter the water damage situation, a professional carpet cleaning goes a long way in getting things back to normal. The experts at High Quality Carpet Cleaning can demonstrate how it is possible to recover from the seemingly impossible task of restoring water damaged carpets and upholstery. With water damage, carpets can soak up water, debris and sediment like a sponge. This makes them easily susceptible to breakdown, bacteria, mold and mildew. Have the professionals remove the water quickly and sterilize carpets with a combination of proven methods that eliminate the worst water damage situation. Do not throw in the towel after water damage, call on the experts and win the fight before water has a chance to do real damage. A lot of homeowners and businesses think that carpets, rugs and upholstered furniture have to be thrown out after water damage. Before you take drastic action, contact High Quality Carpet Cleaning and speak with the water damage restoration professionals. They can save you time and money by performing a professional inspection and recovery. This means that you can save thousands of dollars by just contacting experts that know how to get carpets, rugs and furniture back from the brink. No matter if water damage comes from a flood, broken pipe, grey water overflow or sewage backup, High Quality Carpet Cleaning can get carpets and rugs back to their original condition. Recover from water damage does not have to be done alone. Get in touch with High Quality Carpet Cleaning and have a team of highly trained professionals on your side through the entire process. Water damage is never easy, but it is made a lot easier with experts that can answer questions and provide solutions. Do not let water damage take its toll. 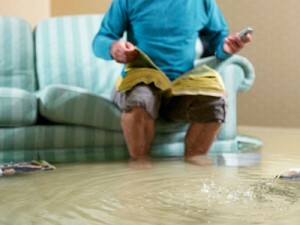 Visit www.highqualitycarpet.com to set an appointment for water damage restoration from New Jersey’s most trusted professionals!